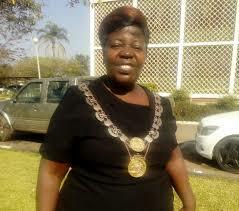 Kwekwe residents have accused their city fathers of pursuing a lavish life at the expense of service delivery after the local authority passed a resolution to purchase off-road vehicles for Mayor Councillor Angeline Kasipo and two other directors. This was after council recently announced that it had set aside about $450 000 for the purchase of three top- of-the-range vehicles for Cllr Kasipo and recently appointed directors. The cash-strapped council recently floated a tender for the supply of a Toyota Fortuner, double cab truck and a vehicle with an aerial platform. Residents, in different interviews, lambasted the local authority for prioritising their lavish lives at the expense of service delivery. Another resident, Mr Charles Makoni, said the residents’ association should summon the minister over the matter. “I think we have a residents’ association in the city, they should play their part and consult the minister over this matter,” he said. Kwekwe Residents and Ratepayers Association (KKRA) chairperson Mr Alex Homela said the local authority should prioritise issues that benefit the ratepayers. “If the ratepayers seem to be complaining, then why not stop the madness and reflect?” he said. “We are not happy at all with the money they intend to channel towards cars. We feel betrayed by such actions. During a recent full council meeting, Acting Town Clerk Dr Lucia Mnkandla defended the decision by council, saying vehicles were part of service delivery.